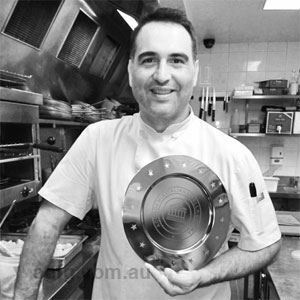 History: I started my apprenticeship at Rossini Rosticeria in Circular Quay. After completing my commercial cookery course at Ryde Catering College, I went to work for a year in Italy (Tuscany, Calabria, Sardenga & Rome). After this I worked at Ecco Restaurant, Five Dock for 4 years then La Perla, Gladesville for 1 year. Following on from this I went on to start my own restaurant with my 2 brothers called Swordfish at South Sydney Juniors which we had for 7 years. Which brings us to where we are now at Cipri Italian. I have been here for nearly 4 years. 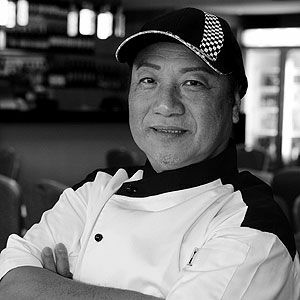 From a very young age I was lucky to be around restaurants and food and my school holidays were spent at my Uncle’s restaurant as my mother was the chef there. I looked forward to participating in food prep and cleaning seafood, so I knew this was the trade for me. Italian and only Italian, reinterpreting the Italian classics slightly. I prefer ‘la cucina povera’ and regional aspects of the Italian kitchen. Fresh, colour, 1 main component with 2-3 added ingredients, garnish and done. 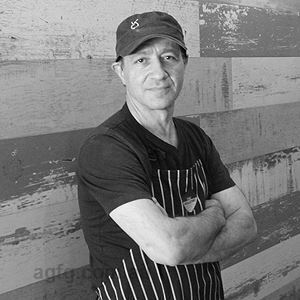 I want all to understand my food, not just chefs. Whatever is in season. Finishing with artichokes, broadbeans, zucchini flowers & peas = summer. Cleanliness, great produce (hence why I do all my buying at the markets) & no wastage. My mum (my first great teacher) and all the great chefs I’ve worked with, good and bad. 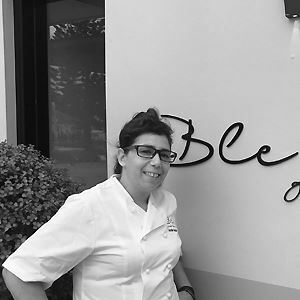 Giving pleasure with food, wine and service. Every day we work with new products, meet new people, and are surrounded by good food. Shaved, pan-fried cuttlefish with pea puree, squid ink croutons & tomato concasse. Beautiful colours, refreshing, classic reinterpreted. Hailing from a long line of restaurateurs, the Cipri brothers are no strangers to the culinary world and they greet even first time patrons of their Paddington restaurant like long lost family. Simple, elegant lines and deep chocolate tones give Cipri Italian its modern aesthetic, but family and tradition lie at its heart; bottles of homemade artisan products are offered for purchase and the Cipris' mother, Maria, makes regular cameos in the kitchen – as well as in old family snapshots that grace the menus. 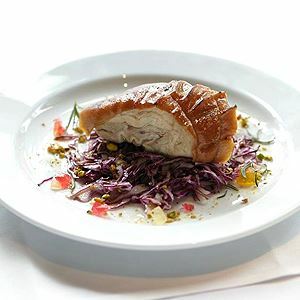 This marriage of traditional and contemporary is a joyous one, reflected in homely yet sophisticated dishes like slow roasted suckling pig, red cabbage salad, mustard fruits and pistachio, as well as decadent desserts like limoncello pannacotta, spiced rhubarb and pistachio meringue.